Chenderit School is an established secondary School (Academy status) with 1,150 pupils. 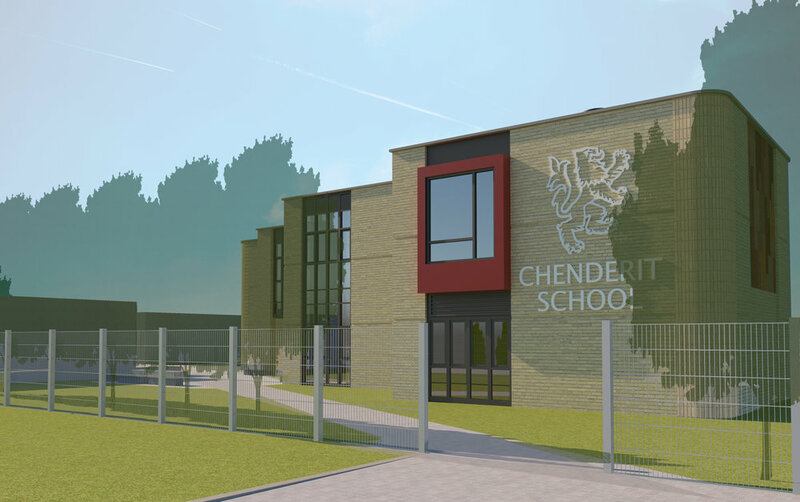 The project at Chenderit involves replacing an existing teaching building with a new teaching block on a vacant part of the school site. The prominent position of the building – right next to the school entrance and visible from the public highway – provides a great opportunity to create a stronger sense of arrival at the school.